This past weekend the San Diego Chargers retired the late Junior Seau’s #55. But forgotten in all of the pomp and circumstance was Frank Buncom, the first man to wear the number for the Chargers. In the following excerpt from his upcoming book, Finding Frank: Full Circle in a Life Cut Short, author, Buzz Ponce, discusses the similarities between #55 Buncom and #55 Seau. When the San Diego Chargers famously retired Junior Seau’s uniform number on September 16 at Qualcomm Stadium in front of a crowd of nearly 61,000, it was a grand and deserved gesture on the team’s part to honor Seau’s contributions not just to the Chargers but to the entire community of San Diego. But there’s a story and a twist behind Seau’s legacy that reaches all the way back to the American Football League. The news was stunning, shattering, and heartbreaking. 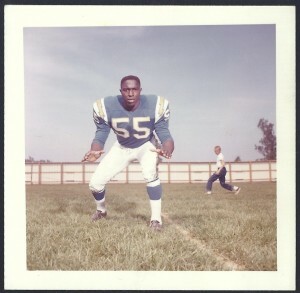 The great former USC Trojan and San Diego Charger, number 55, had died suddenly, unexpectedly, and much too young. He was a former college All American, a recurrent All Pro, the embodiment of a warrior. He left behind a grieving family, memories of a renowned career, and promises cut short and unfulfilled. But here’s the twist: his name was Frank Buncom, not Junior Seau, and this tragedy occurred 43 years ago. Buncom was the original number 55 for the Chargers and many of the similarities shared with Seau are eerie in some respects. Media reports at the time of Buncom’s death were brief and void of particular insight; there was no memorial, no huge public outpouring of anguish. After just a few days the news subsided. Very soon, the memory of the man and the death mostly vanished. Buncom played college and professional football in a long-ago era. 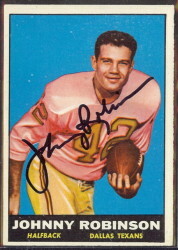 He was a stellar, three-time American Football League All Star but today most people cannot recall his name. For those who knew him though, Frank Buncom far exceeded the customary boundaries of a football star; he personified dignity and how to correctly live a life. Some of the parallels with Seau may be ordinary, but others are staggering in their depth. Start with Seau’s year of birth in 1969 – the same year as Buncom’s death. Both came from underprivileged backgrounds in southern California and went on to football stardom at the University of Southern California. Both were college All Americans, both were drafted by San Diego. Both had brilliant Chargers careers that culminated in both being enshrined in the team’s Hall of Fame. Both played a linebacker position, both ended their playing days with different teams. Both wore the same jersey number and large, infectious, luminous smiles. Both died suddenly, unexpectedly, tragically. But there the similarities abruptly end. Seau was evidently haunted by demons or perhaps more likely, lingering, pronounced head trauma from his football career. An alleged domestic violence episode in which he also drove his vehicle off a beach cliff on one reckless night and early morning in 2010 was well publicized. His suicide two years later is national, front-page headline news. His community charitable contributions are deservingly well documented and he will continue to be feted and honored. When Cincinnati’s paramedics and Bengal team trainers arrived that morning Frank James Buncom II was dead. Later, it was determined that he died of a pulmonary embolism. That Junior Seau is remembered, admired, and mourned as one of the great linebackers ever to play the game and Buncom is largely forgotten is an incongruity. His anonymity both as a player and now long after his death is certainly not a fault – his or anyone else’s. Buncom intentionally didn’t pursue the limelight partly because generating unnecessary attention was not a staple of his personality, not in his DNA. In part too, he played professionally for a team that had many colossal egos in the 1960’s, many perceived stars. The San Diego Chargers of that era were the toast of the city and had a roster full of outspoken, larger-than-life personalities. Beat writers covering the team back then never had to look long or hard for a juicy quote, a morsel of glitzy information from a player or coach that could and would generate mass media attention, or at least what amounted to mass attention in the time long before the internet and social media were ever possibly imagined. Buncom’s life, his time, his era, was an epoch before, a world apart from today’s society, today’s pace. He transcended racial boundaries and overcame enormous odds. Yet his lessons taught and learned many years ago by those fortunate to know him still can echo, still can enlighten, and still are valuable. When he died at age 29, Buncom left many unfulfilled hopes and dreams. Prominent among them was his future coaching career; he looked forward to mentoring kids and giving them the guidance and discipline he believed they all deserved. He also left his wife Sara, later a principal in the San Diego Unified School District, and seven-week old son, Frank III. Today his grandson, 16 year-old Frank Buncom IV, attends St. Augustine High School and is on the varsity football team. Todd Tobias is exactly right to point out the parallels of two lives cut short. I have seen excerpts of Finding Frank: Full Circle in a Life Cut Short by Buzz Ponce and it is a must read for any fan of football. Two completely different NFL paths for number 55 and yet two altruistic men who gave back. In 1957 Frank Buncom playing for LA Dorsey High School was named First Team All Southern League at Center. That position may partly explain the number 55. Beach Boys Mike Love and the Kardasian girls father Bobby Kardashian Jr were a couple of years behind Frank at Dorsey. 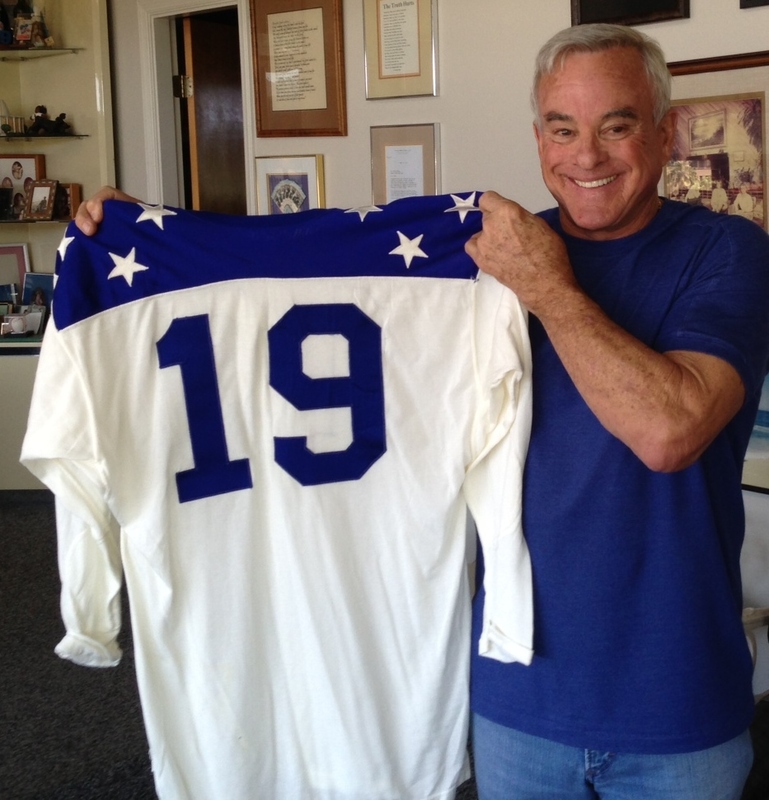 Those were the golden years 1957- 61 for athletes and other talented young people in the greater Los Angeles and surrounding area, In that five year span the area produced an unprecedented number of talented people including many in the sport world. A partial list would include: John Huarte, Jack Snow, Mike Garrett, Bill Kilmer, Ken Hubbs, Keith Lincoln, Bobby Howard, Bunny Brown, Marv Fleming, Kermit Alexander, Pete Beathard, Craig Fertig, Robert Bonds, Roy Jefferson, Hal Bedsole, “Big” Ben Davison, Dusty Baker, Ron Fairly, Marlin and Mike McKeever, Tony Horton, Ulis Williams, Billy “The Hill” McGill, James Bates, Willie Davis (Dodgers), Walter “Flea” Roberts, Brady Keys, Gail Goodrich, Dee Andrews, Willie Brown, Jerry Pimm, Gary Cuningham, John Rudometkin, Bob Bailey, Mike Epstein, Tony Lorick, Kenny Graham, Larry Todd, Joe Moeller, Dock Ellis, Don Horn, Gail Hopkins, “Jumpin” Joe Caldwell, Ken McMullen, Mike Ferragamo, Kurt Altenburg, John Block, Neal Petties, John Werhas, Mel Queen, Denny LeMaster, Andy Etchebarren, Brock Davis, Jim Vellone, Jay Dahl, Skip Face, Bill Redell, Tom Sisk, Hal Reniff, Stan Sanders, Rod Dowhower, Larry Zeno, Skip Husbands, Richard Levin, Damon Bame, Hubie Watson, Marshall Adair, Bill Pace, Jack Hirsch, Bob Bedell, Larry Maxie, Hudson Houck, Rod Sherman, Frank Mazzotta, Lou Ramirez, Paul Wargo, Ron Barber Steve Ledbetter, Fred Goss, Forrest Beatty, Preston Griffin, Clark Branson, Bruce Bess, Lew Hoyt and Jim Hannah. Those are all great names that came out of the LA area in the late 50’s and early 60’s that you list. I was aware that Mike Love went to Dorsey in the same era that Buncom attended, but did not know about Robert Kardashian — who of course, went on to fame as a buddy of OJ’s. I also was not aware that Buncom played center at Dorsey; I thought he played offensive tackle. Thanks for the correction; I’ll add it to the book. Buzz, Don Buford was small in stature but was the BMOC at Dorsey when Buncom arrived at Dorsey, Buford was a Senior and later attended SC played Halfback and baseball. I recall many years ago circa 1967 ,attending a game in the LA Coliseum and over hearing a couple of older guys comparing running backs and all they could talk about was Don Buford, I only knew Buford as an outfielder with Orioles, never had a clue he went to SC and played football. I was told a Mike Love story concerning an incident that ocurred at Dorsey, it speaks directly to Dorsey and LA at the time and Mike Love. Two LA guys to add to that original list Don Buford Dorsey HS and Paul Blair Manual Arts. 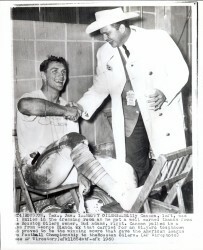 Both were star outfielders with the Baltimore Orioles. Buncom’s time was the 1940’s-1969 a time of societal change an rural mass migration into urban centers like LA, rivaled only by Columbus and centuries after, and todays migraton from south of the border. LA, was the destination spot of those seeking a better life. I’ve mentioned Brady Keys and now Don Buford, both men are a couple of examples nd owe part of that success to the courage shown by their families, who up and moved from places like Texas to LA. Keys grew up fast had a better Junior year at LA POLY HS than Senior and dropped out, At ELAC he struggled further and was dismissed for behavior unbecoming a student athlete, dropped out of college began playing sandlot with the Eagle Rock AC and was rediscovered. Others like the great back an track star was Fremont HS Victor Hall 6″1′ 185 ran a 9.5 100 as a 11 grader in the Coliseum Relays, dropped out of school, then went to Compton JC played a year and ran track, recieved a financial aid scholarship to Cal Poly SLO and was killed when in 1960 the team plane crashed after departure from Ohio’s Toledo Airport in the fog. Ted Tolner survived the crash after giving up his seat in the front to a player that wasn’t feeling well. It’s always well to remember those forgotten few who lived in a past and time now nearly dismissed. The kids in the neighborhood in which I grew up in Honolulu likely all remember Frank Buncom. 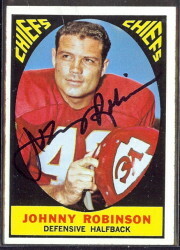 We were all around nine or 10 years old and most of us had Frank Buncom’s football card. 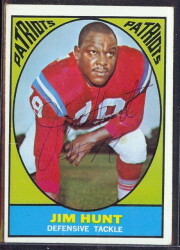 When you’re 10 years old and a guy on one of your football cards dies, it makes quite an impression. The rumor among our friends was that Frank had died of water on the knee, or “watanee,” in pidgin English. Not to make light of a tragedy, but the point here is that 45 years later a permanent synapse in my brain fired while looking at a photo of Coy Bacon, who didn’t smile much. I remembered someone who did, Frank Buncom, on his 1968 card. I googled his name, and here I am. Rest in peace, Frank Buncom.